St. James is active in reaching out to the community of Jackson so that all people may know of Christ’s love. This page lists some of our current outreach activities, please contact the church office if you have questions or would like to be active in other ministries. 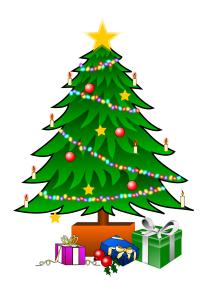 This year the Christmas Giving Tree will have ornaments for gifts for John George Home (37 Men) and the Jackson Friendly Shelter (44 Women). Take an ornament and buy the gift listed. Please bring the gift back to church wrapped if possible and attach the ornament so that they know who the gift is for by December 16th. If you don’t want to shop you can put a donation in the offering and mark it “Christmas Giving Tree”. Help to make Christmas special for others this year! Love In the Name of Christ (Love INC) brings Christian churches together, across denominational lines, to help the poor and those in need in our community by meeting immediate needs such as food and clothing, to longer-term responses through relational ministries such as life skills training and transitional housing. The Jackson Interfaith Shelter serves as a place for temporary housing for folks who find themselves homeless in the Jackson Community. Our Congregation is committed to praying for Officers Darin McIntosh and Rick Rodden who serve in law enforcement positions throughout Jackson.